This sublime 4-star hotel is located on the outskirts of Grenoble city center and offers breathtaking views of the Paul Mistral park and its 52 acres of lawns and forest. Despite its understated appearance, this park is elegant, refined & timelessly chic .. Pure lines, noble materials and solemn hues are brought to life with vibrant splashes of red. Our bar lounge invites you to rediscover classic cocktails shaken and stirred to perfection. Treat yourself to relaxing moments in the wellness center, with hammam and sensory shower. Grenoble is much more than the largest alpine city. In addition to its privileged location, allowing you to escape on Lake Monteynard, Grenoble is steeped in history and French heritage. 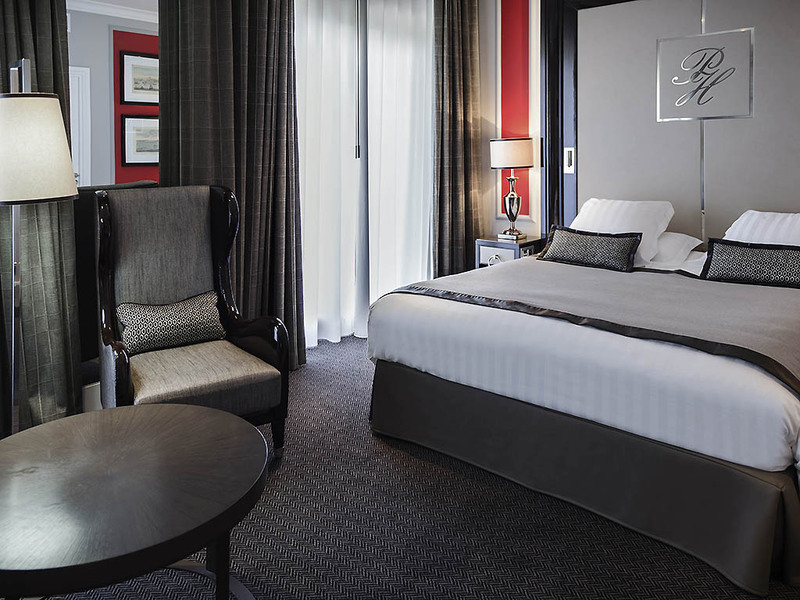 Right on the edge of Parc Paul Mistral, just a short walk from the city center and close to the main highways and public transport, the Park Hotel is the ideal place to stay in Grenoble. 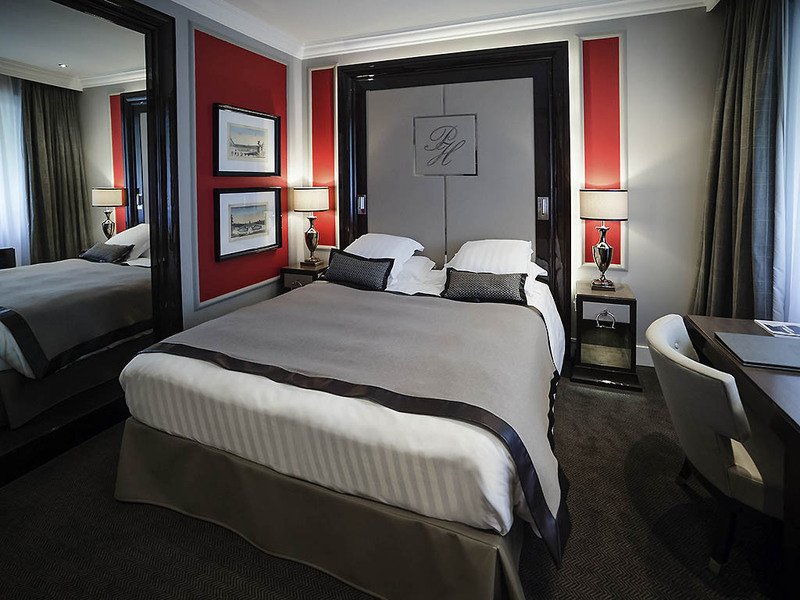 Just steps from the center of town, revel in the elegance of your spacious Grenoble suite at this 4-star hotel. Sip espresso or enjoy refreshments from the minibar in your lounge, where designer elements meet Greco-Roman inspired sculptures. Rooms measuring 258 sq. ft. (24 m²), free standard Internet access, 41-inch (105-cm) TV, complimentary minibar, safe, Nespresso machine, bathroom with shower and air conditioning. Rooms measuring 323 sq. ft. (30 m²), free standard Internet connection, 41-in (105-cm) TV, complimentary minibar, espresso machine, bathroom with bathtub or shower and Clarins products, bathrobes and slippers, Canal+, beIN SPORTS. 484 sq. ft. (45 m²), free standard Internet connection, 41-in (105-cm) TV, complimentary minibar, espresso machine, bathroom with bathtub, separate shower and Clarins products, bathrobes, slippers, Canal+, beIN SPORTS and separate lounge. Appetizers, fish and meat, cheese, desserts from 7-10 pm, except Saturday nights. The Lounge Bar offers views of the park in a contemporary and original setting. Come and discover a whole collection of distant and unique objects. A creative menu with a selection of wines and cocktails will also tantalize your taste buds. 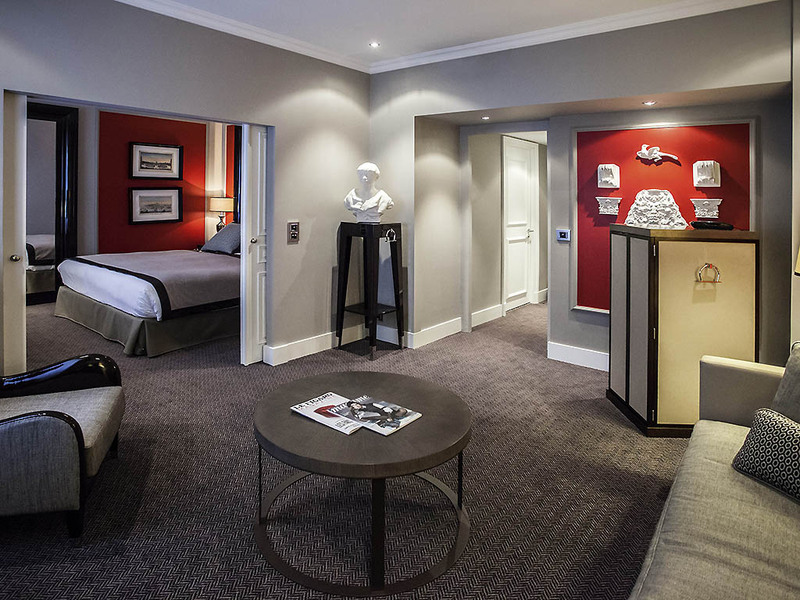 Park Hotel Grenoble MGallery by Sofitel welcomes you in cousu main style for your honeymoon. Raise a champagne toast to your union, and take advantage of our offer, which includes breakfast and late check-out.